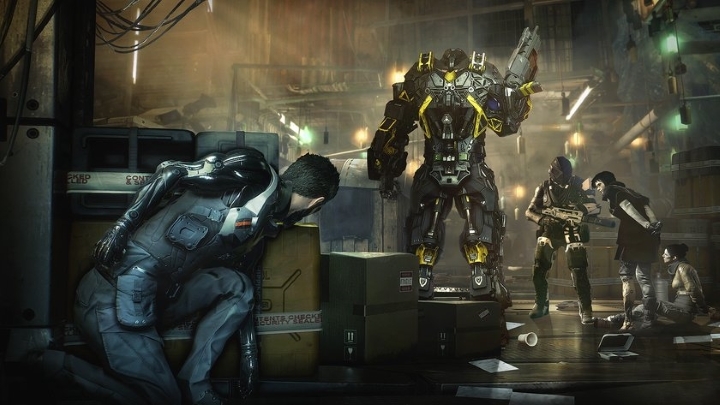 Deus Ex: Human Revolution was certainly one of the best games of 2011. In a year that saw the release of superb games like Bethesda’s seminal The Elder Scrolls V: Skyrim, Human Revolution still managed to be one of the highlights thanks to its superb role-playing action, characters and story, and also due to the fact that it managed to live up to the classic original Deus Ex game. Many gamers regard it as one of the best role-playing games ever made, and perhaps Deus Ex: Human Revolution’s only sour point were its boss battles. While gamers were allowed to deal with the game’s challenges in a variety of different ways, from stealth to hacking to combat, the boss battles did not offer those choices, and forced players into combat encounters. The problem, you see, is that Eidos Montreal had outsourced the boss battles to an external studio, although at least Deus Ex: Human Revolution’s director’s cut edition modified those boss fights to add more player choices to them. So given Human Revolution’s pedigree, it is logical that Deus Ex fans have high expectations for Deus Ex: Mankind Divided, which will be a sequel to the 2011 game. Mankind Divided will see the return of protagonist Adam Jensen, former Chief of Security of a major biotechnology company, who ended up being “augmented” after an attack on his company Sarif Industries’ headquarters. 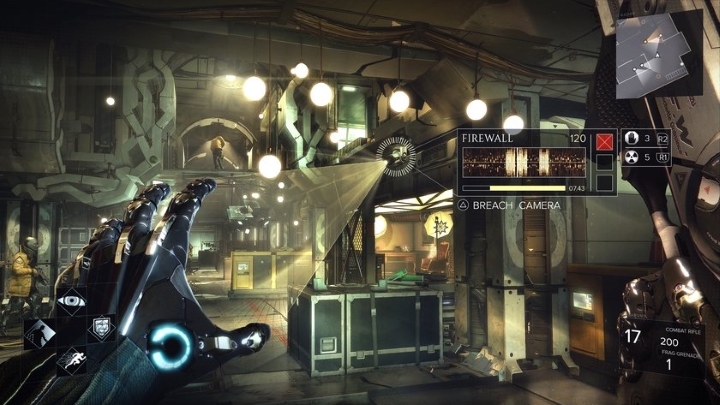 And while Jensen’s augmentations give him abilities like being able to hack electronic objects at a distance (like in the image below), and even become invisible for a brief period of time, he could also face troubles, as the game’s future world is no longer fond of transhumans – as a matter of fact Jensen is tasked with hunting down and capturing augmented terrorists in the game. And like in Human Revolution, Adam Jensen will surely face more than one boss fight in Deus Ex: Mankind Divided. And gameplay director Patrick Fortier of Eidos Montreal, the developer behind the game, caused quite a stir when he said in an interview with Eurogamer that players won’t have every single choice available to them when dealing with boss characters. Specifically, he said that they would not be able to talk their way out of boss fights. Fortier said: “I started reading you can take-down bosses by talking to them – it’s like, ‘Whoa, whoa, whoa! Where did this come from?’”. Which is something that makes sense, considering that harsh language never killed anyone… Although Fortier stated that the game will have “classical boss fights”, and those “will be supported in fully non-lethal ways”. He even suggested that it will be possible not to kill certain boss characters, and that doing so would have narrative repercussions in the game’s story. But the game will also feature debate gameplay in which protagonist Adam Jensen will be able to use his CASIE (which stands for “Computer Assisted Social Interaction Enhancer”) to read another characters’ body language for instance, and persuade him or her to take a certain course of action, but Fortier made it clear that boss fights cannot be dealt with in this manner. But if one thing is clear though, is that Deus Ex: Mankind Divided will feature plenty of player choice while avoiding the pitfalls of its predecessor, and will likely offer a great role-playing experience when it debuts next year. Note: A release date for Deus Ex: Mankind Divided has not yet been announced, although the game is expected to ship in 2016. The game will be released on PS4, Xbox One and PC.